In 1878, John A. Creighton made good on a promise he made to his brother Edward Creighton and Edward's wife, Mary Lucretia (Wareham) Creighton, that the family fortune would be used to create a school for boys in which education was quality, Catholic-based, open to all young men of promise and, most of all, affordable. From its beginning in 1878 until 1958, Creighton Prep operated as a department of Creighton University. As both the university and the high school at Creighton grew and became more complex in their operation, it became clear that they would each be better served by separating and becoming distinct institutions. In anticipation of such a separation, in January of 1953 the present plot of land was purchased on Western Avenue at a cost of $50,000. In the spring of 1956, Creighton began a capital funds campaign, one of its purposes being to raise money for a new building for Prep. 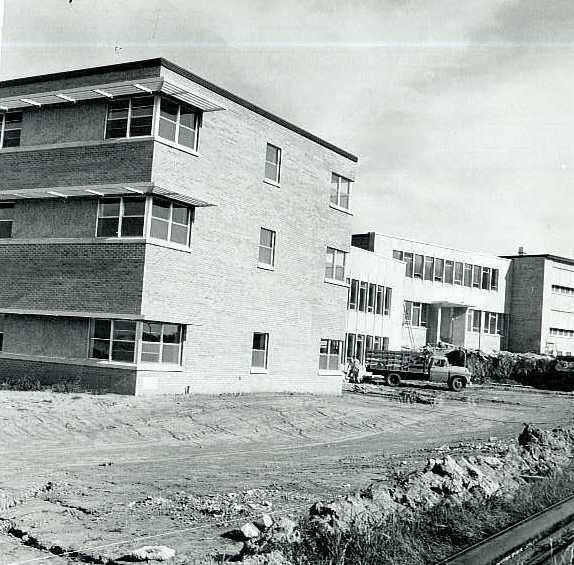 This new classroom building was completed in the spring of 1958, at a cost of $1,584,000. Since then, a series of updates and additions have been completed throughout the school. Below is a rough time line and description of those updates. Creighton School was founded in Omaha, Nebraska in 1878, later separating into Creighton Prep and Creighton University. The school was named after Edward G. Creighton, an Omaha businessman whose wife, Mary Lucretia, left their fortune to the Roman Catholic Bishop to build a school for boys. At that time, the school was given to the Society of Jesus, known more commonly as Jesuits. The initial enrollment was 120 students. Construction on the "new" 105,000 sq/ft Creighton Preparatory School was completed at 7400 Western Avenue. The building was constructed debt-free for $1.7 million with money saved by Fr. Henry Sullivan, S.J. and through a campaign that Fr. Carl Reinert, S.J. spearheaded. In the fall of 1958, students entered the new building and the class of 1959 will forever have the distinction of being the first senior class to graduate from this location. The 50,000 sq/ft Jesuit Residence was completed and soon housed over 30 Jesuit priests, scholastics and brothers. For three years prior to completion of the residence, many Jesuits lived in then-empty classrooms and others in two houses southwest of the school. Under the watchful eye of Brother Mike Wilmot, S.J., many JUG workers and volunteers helped erect the "Tin Gym," a secondary gym on the north side of the school. It was a place for countless dances, pick-up games and memories. To quote one alumnus, "the place still smells the same!" The "Tin Gym" will be demolished later in the new construction project. Sections of the wood floor will be for sale. In 1985, again with Brother Wilmot, S.J., supervising a group of students, parents and friends of Prep helped construct the weight room which is located east of the current gym. 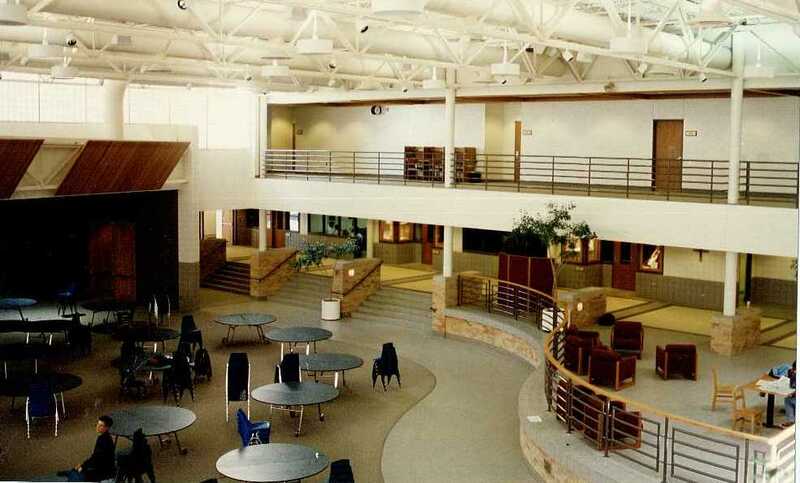 In 1992, the largest structural change to the school took place with the addition of the 35,000 sq/ft Henry L. Sullivan, S.J. Campus Center which provided a multiuse venue for Prep students to study, eat, attend Mass, hold dances and socialize. In addition, two spacious centers for counseling and campus ministry were built, along with a Fine Arts Department for art, architecture and band. The 25,000 sq/ft Dr. James B. and Joan C. Peter Science Center was added in 1999. Five nearly-identical class/ laboratory rooms were added along with four renovated rooms during this phase. Nearly 100,000 sq/ft of the building's east side, including a portion of the Jesuit residence, was renovated and used for school classrooms and administration offices. This currently serves as the school's main entrance. The wrestling room was also added during this phase. 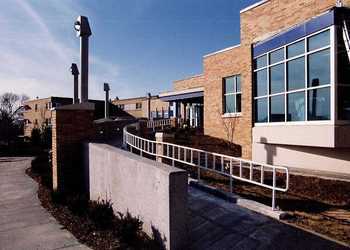 The Cassem Memorial Library was remodeled in 2003 into a state-of-the-art library. The room was featured on the May 2007 cover of School Planning and Management Magazine and won the Council for Educational Planners' Impact on Learning Award. This $20 million construction project reaffirmed Prep's presence at a site where the high school has stood for 50 years. The project included both athletic and academic components, including a new gym, baseball plaza and artificial turf playing field, as well as renovated classrooms, a new auditorium and a technology center. The Heider Center was dedicated December 12, 2009.